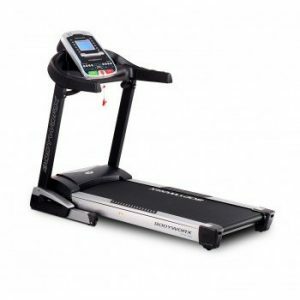 The T60 is built for the commercial market but is also a great choice for those looking for a durable, high-end, home treadmill. It uses a powerful 3.0 hp AC integrated drive system and comes with a heavy gauge steel welded frame. Other features include a maintenance-free reversible deck, an extra-large running surface, and a durable two-ply pre waxed belt. 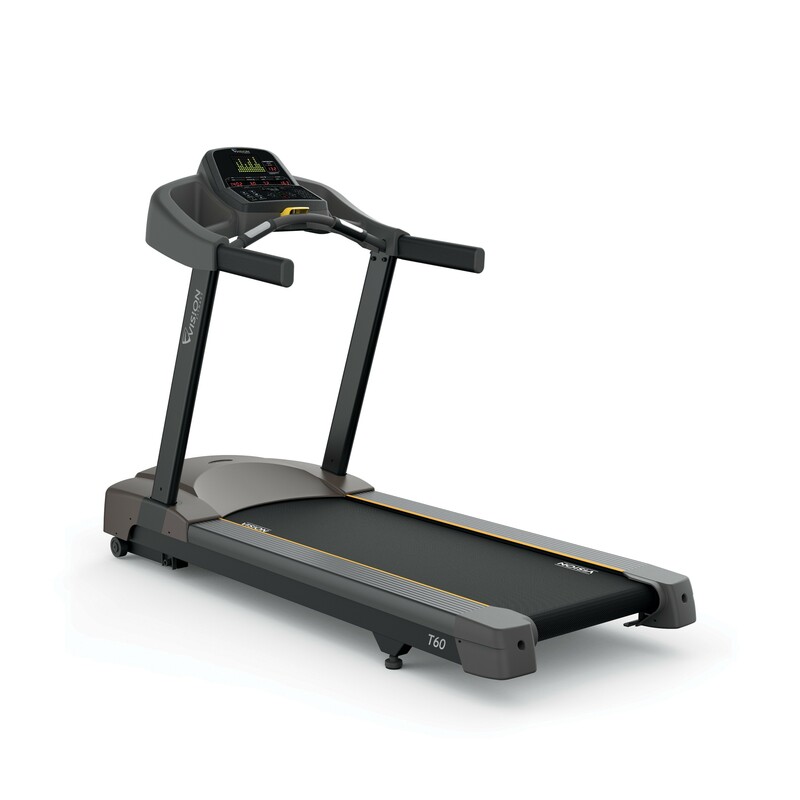 The T60 console offers nine preset programs, including target heart rate training and plenty of workout feedback. 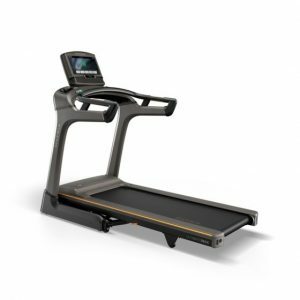 The Vision T60 Commercial Treadmill is built for the commercial market but is also a great choice for those looking for a durable, high-end, home machine. It uses a powerful 3.0 hp AC integrated drive system and comes with a heavy gauge steel welded frame. Other features include a maintenance-free reversible deck, an extra-large running surface, and a durable two-ply pre-waxed belt. 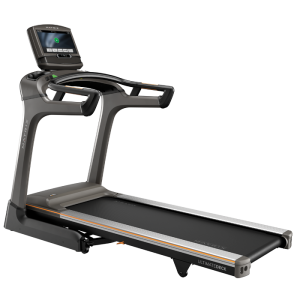 The Vision T60 console offers nine preset programs, including target heart rate training and plenty of workout feedback. Display- 10×14 dot-matrix LED profile display, 19 alphanumeric LEDs with scrolling feedback and HR zone display. Assembled Weight- 150 kg / 330 lbs. Max User Weight- 159 kg / 350 lbs.